What Target To Buy? License In Dubai? I am interested to buy a target. Please let me know if its possible. Also if you can inform me do I need to get a license to shoot in Dubai? Thanks and Best Regards. Comments for What Target To Buy? License In Dubai? hellow.. may i know if there is store here in dubai that i could buy bow and arrow.. modern bows..
Every municipality will have its own laws and rules as it relates to archery. 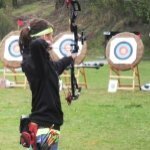 My recommendation is to contact the Dubai Archery club at http://www.dubaiarhcers.com. I have had great conversation with the friendly members of Dubai archers in the past – they are more qualified to answer the question of license and will gladly help you find answers about targets. Join in and write your own page! It's easy to do. How? 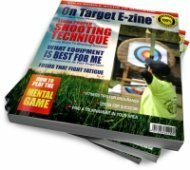 Simply click here to return to S1-1 Proper Archery Equip.